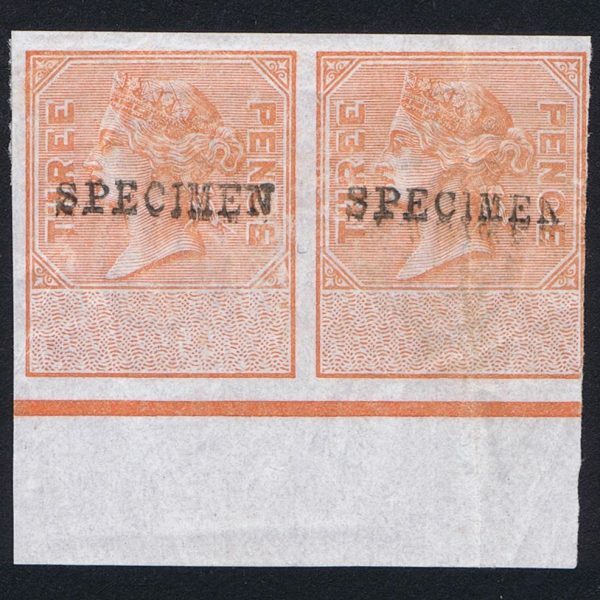 Attractive and rare imperforate full marginal pair of the 3d Orange Revenue, unappropriated die, overprinted SPECIMEN, full og. but some gum creasing. Rare.